When the Ohio Ecological Food and Farming Association holds its annual food conference Feb. 15-17 in Dayton, there will be lots of celebration. More than 1,000 folks interested in growing and supporting sustainable food will meet in 80 skill-building workshops, and they’ll do so knowing that organic-food sales are healthy, too. In a relatively stagnant growth market for food in general, organic-food sales continue to rise by more than 8 percent a year, according to the country’s Organic Trade Association. With the good news comes the bad. There aren’t enough young people taking up farming, not enough research to make it easier and more profitable, and still not enough sales to make both of those things happen soon. 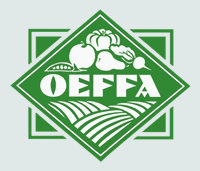 We talked about that last week with Jeff Moyer, who will be giving one of the keynote speeches at the OEFFA conference. Moyer, 62, spoke by phone from Kutztown in eastern Pennsylvania. He and his family started farming there organically in the back-to-the-land movement of the 1970s. Until five years ago, he served on the National Organic Standards Board of the U.S. Department of Agriculture, a group that came into being in 1990 with the creation of the USDA Organic label. Moyer now heads Rodale Institute, a cornerstone organization in organic agriculture. From your view, what’s the current state of the organic-food world? When Robert Rodale was here in 1971, he was frustrated at the slow growth of organic-farming principles. He was concerned about human health, planetary health and wrote about climate change. He saw organic-crop production as a way to mitigate these problems. He saw two reasons for the slow growth. One was that, whether we like it or not, agriculture moves on the back of science, and we don’t have a lot of science on the back of organic agriculture. He also saw a problem with certification. At that time, anybody could put something on the market and call it organic. He thought the best way was to bring in government certification, which would expand organics, allow people to trust what they purchase and have an understanding for interstate trade which would be converted into research. That part didn’t pan out well, but the labeling did. Do people understand the label? I wish everyone had a deep understanding of it. Most don’t have the time, although I think they have the interest. But I think they do trust it. There were stories last year about missing links in the organic certification of some crops grown overseas. Why should we trust the label? Because the alternative is far worse. Without the label, you don’t have anything to go by. And you get what you pay for. Yes, there are cheaters out there, but it’s still better than the alternative. Food is one product that we purchase, put it in our mouths and it becomes us. While the seal is less than perfect, it’s the best thing we have that can be verified. Why does organic food generally cost more? We’re paying for the quality that the farmer brings to the entire process. Organic farming is more cost-effective than conventional farming. Yet conventional farmers have subsidized crop insurance because their processes are so much more at risk to climate and weather patterns. There’s no way they can afford the insurance. But consumers, instead of paying for those subsidies through our tax dollars, should really be paying for it at the point of purchase. When people develop [illnesses] that can be attributed to their diet and the way their food is produced, we don’t pay for that in the food but in the cost of health insurance. Not that organic farmers can’t apply for crop insurance, or can’t get into government programs, but they generally don’t need to. They charge what they need to get to a reasonable profit. So why aren’t there more organic farmers, and how do you get more? “That’s the $64,000 question. I saw an analysis from Ohio State University that showed you have to spend 10 times more to become a farmer than to become a surgeon, but you make 10 times less money. There are now six times as many farmers over 65 than farmers over 35. Farmers aren’t aging out of the system, and eventually, something drastic has to happen. Are organics at risk in the current political climate? What: A Taste for Change, the 39th annual conference of the Ohio Ecological Food and Farming Association. Includes 80 educational workshops for farmers and consumers with special attention this year to new farmers, urban farming, a trade show and more. When: Thursday Feb. 15-Saturday Feb. 17.